Every state in the U.S. and dozens of countries worldwide produce wine. The Wine Tourism Conference aims to provide concrete, hard data specific to the wine industry for wineries and wine-oriented businesses and associations to learn from and bring back to their institutions. 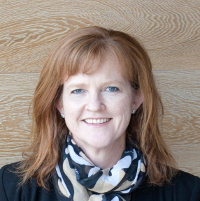 The Keynote Address at the annual WTC aims to inspire and educate and we are excited to announce the delivery of the 2015 Keynote: Sally Cope, Executive Officer of Ultimate Winery Experiences Australia (UWEA), speaks on Friday, November 20 in Loudoun County, Virginia. relays Allan Wright, founder of the Wine Tourism Conference. Collaboration is emphasized on the 2015 Wine Tourism Conference Agenda. The Breakout Sessions, “Promoting Your Wine Tourism Business Beyond Your Region” and “It Takes a Village: Working Together to Increase Tourism” highlight partnerships as a great way to leverage visibility and increase tourism opportunities. Sally Cope’s Keynote Address dovetails nicely with the Visit Loudoun success in successfully growing their wine tourism in just a few short years and becoming recognized as “D.C.’s Wine Country” both regionally, nationally, and internationally. We look forward to learning from the success story of the UWEA and how this translates to the North American wine landscape. Thank you, Sally Cope, for traveling from your world of wine in Australia to Loudoun County, Virginia this November for the 2015 Wine Tourism Conference!